Definately a poor phone. What kind of a Gpu is that? Better stick to known Manufacturers. 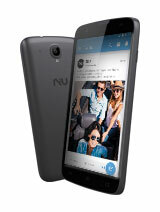 Total of 4 user reviews and opinions for NIU Niutek 3G 4.0 N309.